This Cooks 5-quart Programmable Latch and Travel Slow Cooker is on sale for just $24.99 (retail $70). And through October 8th, save an extra 15% off select home purchases when you use promo code NOWSAVE9 at checkout. 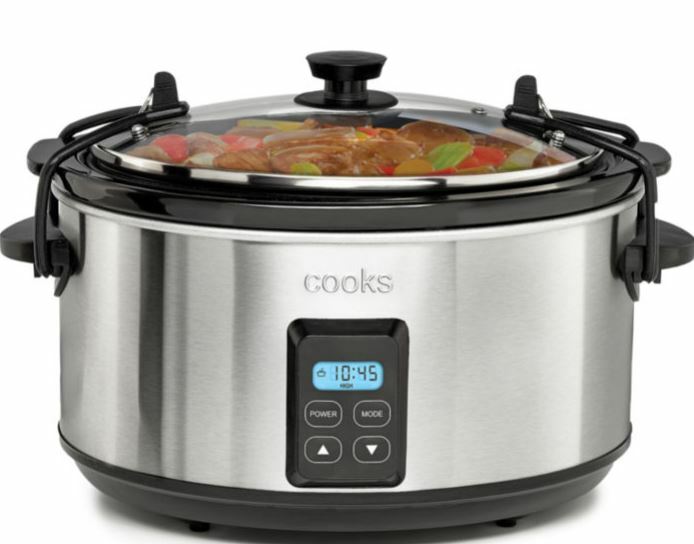 Plus, this slow cooker qualifies for a $10 Mail-in Rebate which brings your price down to just 11.24! Choose free same day in store pick-up if available near you or get free shipping to your home on orders of $99+.